InterContinental Hotels Group has opened the doors to the highly anticipated Kimpton De Witt. The unveiling of the hotel in the heart of Amsterdam, marks the first Kimpton in Europe and outside of the Americas. The hotel has been fully transformed with Kimpton’s bold and playful design. Inspired by Dutch heritage with Kimpton’s signature wit, its spirited edge is immediately evident from the striking ‘living wall’ of vibrant florals and botanicals trailing the entrance. It marries the old and the new – a late 20th century building with architecture from the Dutch Golden Age – interlocking modern luxury and historical elegance. 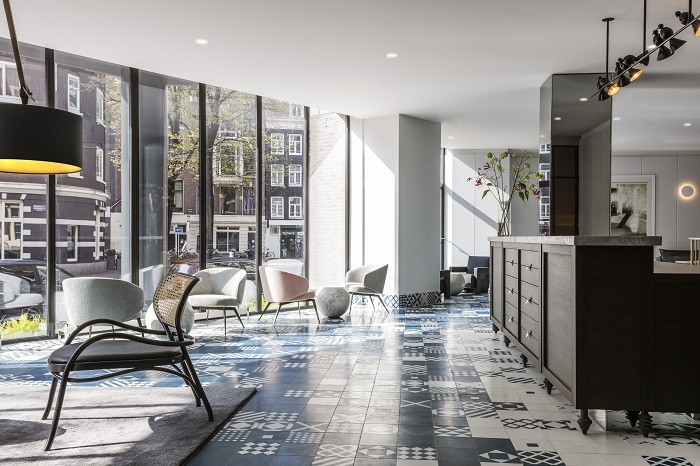 The hotel’s 274 rooms, which include nine signature suites in the original Golden Age buildings, are inspired by Dutch design, from a modern take on classic Dutch art in the bedrooms to the blue Delft-inspired tiles paving the bathroom floors. Within the property stands a three-storey ‘Little House,’ which dates back to the 1600s and was once the childhood home of the Dutch playwright, P.C. Hooft. Little House can be rented for groups looking for the luxury of a private abode; it offers two king-sized rooms and a first floor living room. Kimpton De Witt’s signature suite, Penthouse De Witt, is split over two storeys and its 30-square metre roof terrace offers spectacular views of the city and the iconic canal house rooftops. “Europe was the original inspiration behind Bill Kimpton founding the brand and now we’re bringing the brand home again. 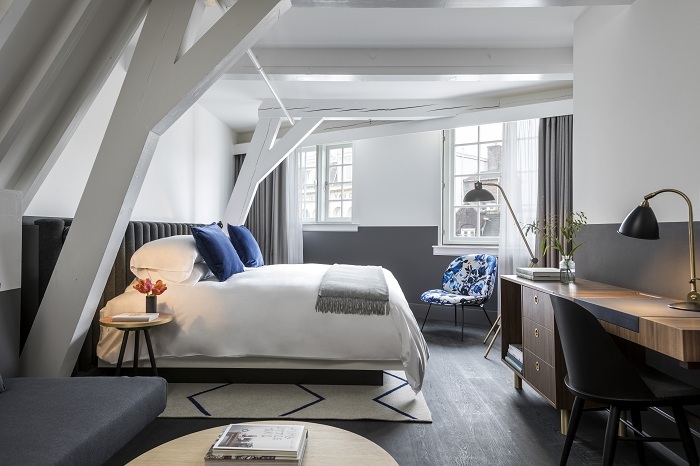 “Opening in Amsterdam, gives us the perfect opportunity to indulge in the playful, creative and innovative approach to luxury that the city inspires in Kimpton’s unique and special way,” commented Angela Brav, IHG chief executive, Europe. “Amsterdam as a city is effortless in design, highly diverse and a hotbed of creativity, making it the perfect match for our first Kimpton hotel in Europe.